Below are descriptions of sample trips that we offer for canoe and kayak rentals. 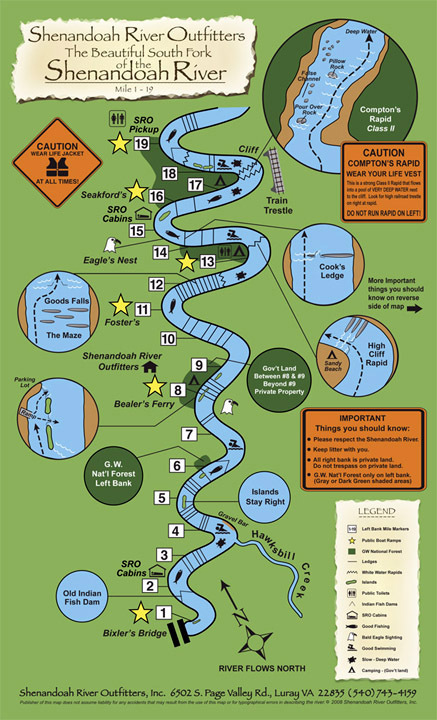 Refer to our River map with numbers. You can make your online reservations 24-7 or just give us a call for more information and reservations. View rates or directions or the Luray river gage and river levels descriptions here. All trips begin with you checking in at the Outfitters store at 6502 S Page Valley Rd, Luray VA 22835. This stretch of river consists of picturesque farmland, small ledges and gentle rapids. A peaceful, quiet trip for families and serious fishermen and bird and wildlife enthusiasts. 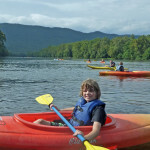 We offer this trip as the Mid-week 11:00 Special with a reduced rate $47/canoe & $33/kayak. Arrive by 11:00 and depart by 11:30. 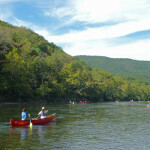 The Sampler Trip is a slice of the Shenandoah with spectacular mountain views, abundant wildlife and beginner riffles. This trip is perfect for the first timers or an afternoon of fishing. The Sampler departs on the hour from 12 Noon to 2 PM. Arrive 1/2 hr before planned departure. 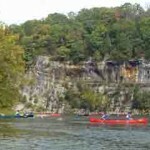 This section of River combines all the best the Shenandoah has to offer. It is characterized by gentle riffles, ledge drops, calm deep stretches for swimming, limestone cliffs and the so popular Compton’s Rapid. Pack a cooler for a relaxing picnic lunch along secluded GW National Forest beaches. This trip can be shortened to 2 or 4 hours. Arrive any time between 8 AM and 11 AM. Overnight trips are offered to those who enjoy pitching a tent under the stars in a riverside clearing where the Native Americans lived. Really get away from it all and return to the days when time stood still. These trips are custom tailored to enhance your experience based on water levels and your time. Call ahead to plan out these multi-day trips. 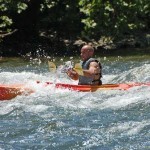 We offer shuttle service for your own canoes and kayaks. Check the rate page. 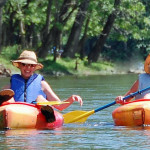 Just give us a call for more information/reservation at 540-743-4159 or 800-6CANOE2 or use the online reservation form 24/7. If you are part of a Group with ID # and name click here to reserve with your group. View rates , directions , the Luray river gage and river levels descriptions. You can read, print and sign the liability release ahead of time. You can look at the Safety video online ahead also. We allow pets in canoes and kayaks but not rafts or tubes. Call and talk with us about river conditions. 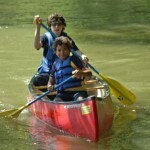 We allow only 2 adults and one child in a canoe, ie max of 3 in a canoe. Children must be 5 years or older for canoe, kayak & tube trips; for a raft trip- 3 years old and is better for those young ones. Plan to have water shoes, old sneakers and no flip-flops for the river. Single kayaks have a weight limit of 250 lbs, tandem kayaks have a weight limit of 350 lbs and are best for adult and child. Cancellation is 48 hours in advance for refund and will need to be called in to the Outfitters. All trips are subject to change due to water levels. We go rain or shine. 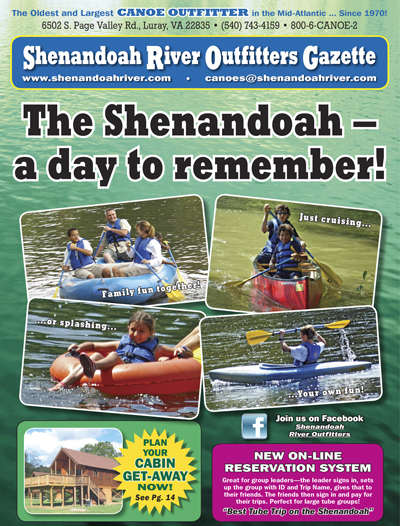 Check out our Luray Caverns & River Internet special too!